As armoured warfare tactics matured, mechanised infantry became a key ingredient in what is now called 'combined arms' doctrine. 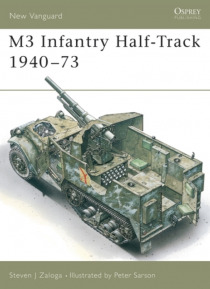 For the US Army of World War 2, the most important technical aspect of infantry mechanisation was the development of the M3 half-track personnel carrier. Steven Zaloga guides the reader through the early 1930s development of the half-track, its first deployment in action… in the Philippines in 1941 and its varied and vital role in international deployments since World War 2. This authoritative text also examines the operators of half-tracks and the troops that they carried.